Back up or restore remote/local MySQL databases with command line. Automatic Backup Scheduler for MySQL > Tutorials > How to back up MySQL database with command line? If you want to combine the MySQL backup function with some other function which the software does not have, please add the command line statements to a batch file. When you execute the batch file, all the commands in the batch file will be executed, and all the jobs will be run in your own schedule. Please check the option Add application directory to your environmental path in the Setup Wizard. 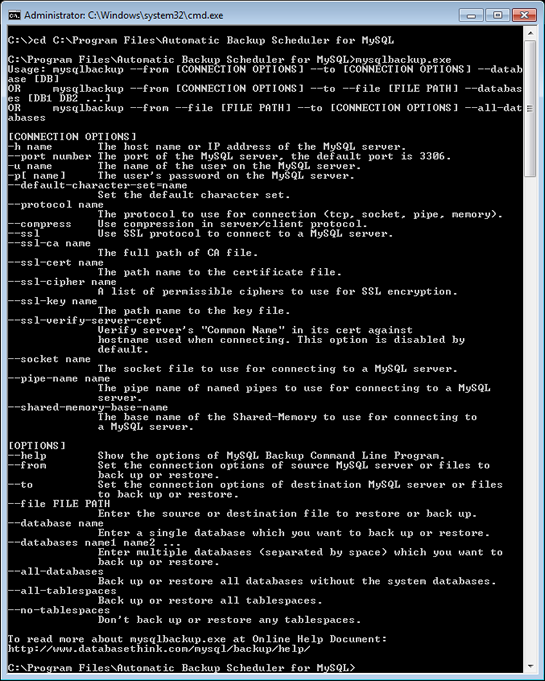 Back up MySQL database by MySQL Backup Command Line Program. 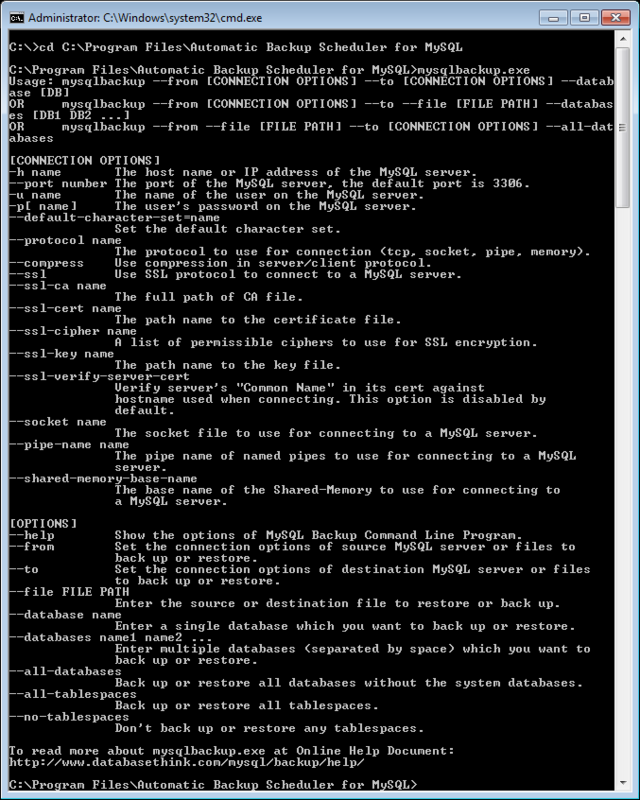 Please enter --help to show the options of MySQL Backup Command Line Program. Create a batch file with MySQL backup command line statements. Create a file, save it as FILENAME.bat. Add the commands of some other function into the batch file. Add the commands of MySQL backup into the file. Add other needed commands into the file and save it. That's all. When you execute the .bat file all the jobs will run in your own schedule.